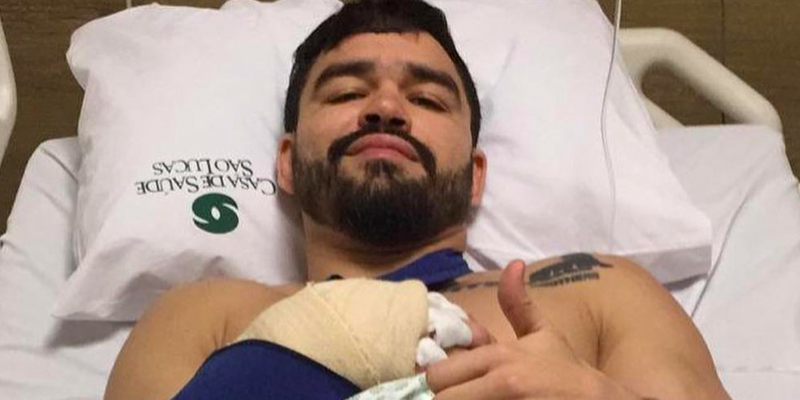 Bellator lightweight Patricky Freire will be out for a while but hopefully not for too long. Got out of surgery a couple hours ago. I ruptured a tendon on my wrist in the first round of my last fight. Surgery was a success, but the damage was a bit more complicated than expected. It will delay my recovery a little bit, but doctors and I are optimistic I may be able to fight by August. See you guys soon!